Our Piece of Cake invitation card design template makes it easy to create invitations for your special occasion. It’s perfect for birthday parties, anniversary parties, receptions, and more! Piece of Cake is available in three distinct color schemes plus three different edge shapes so you can put your own special touch on your custom invitations. 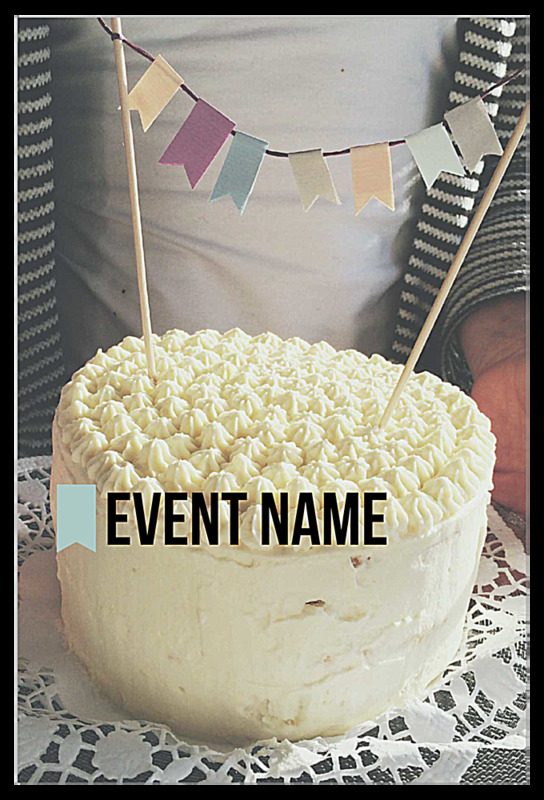 A vintage cake adorned by miniature banners graces the front, which features your event name in a bold font next to an attractive ribbon icon. 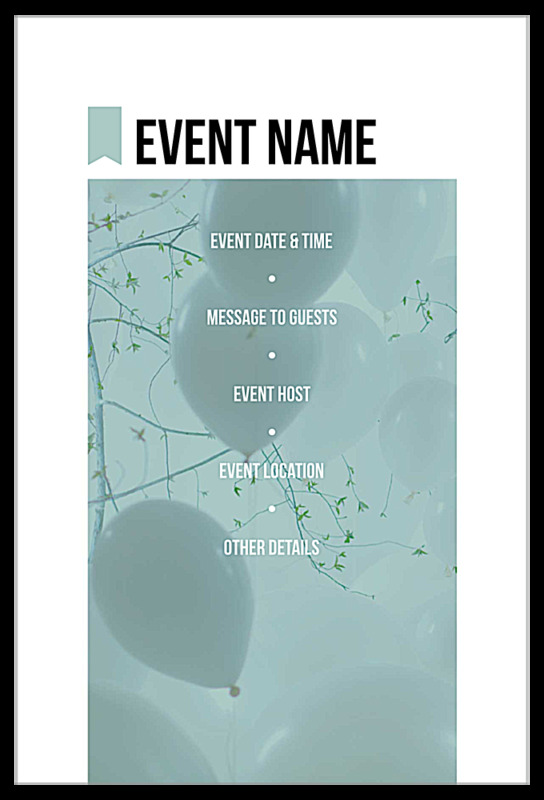 On the back, a shaded balloon background serves as the backdrop for all your event details: date, time, location, host name, and a special message for your guests. Use our free invitation card maker to design your custom invitation cards online today! Our online invitation card maker makes creating your personalized invitations fast and easy. Choose your favorite invitation card design template, then select your color scheme and edge shape. Next, add your own custom text and upload any images you’d like – the design tool walks you through it step-by-step! When you’re done creating the perfect invitation card for your event, you can download a free PDF to review it before you print your custom invitation cards. You can trust PsPrint’s fast turnaround and reliability—guaranteed! Our invitation cards are printed on the highest-quality paper stocks using rich inks that make your design pop off the paper. Find out why thousands trust PsPrint with their invitation card printing every day! Looking for something else? PsPrint carries other invitation card templates, including celebration, fundraiser, thank you, and many more. Also be sure to check out our online greeting card maker plus our line of greeting card design templates. If you need help, our custom printing team is here to help you create your unique custom invitation cards every step of the way!